We have all heard it said that, “God has a plan for you.” This is true. There are no coincidences. God is sovereign in everything. The bible tells us that he is omniscient. All knowing! There is not a thing that happens on the earth or in heaven without his knowledge. What does this mean for you and I as believers. I have plans for my life, as I am sure you do too. 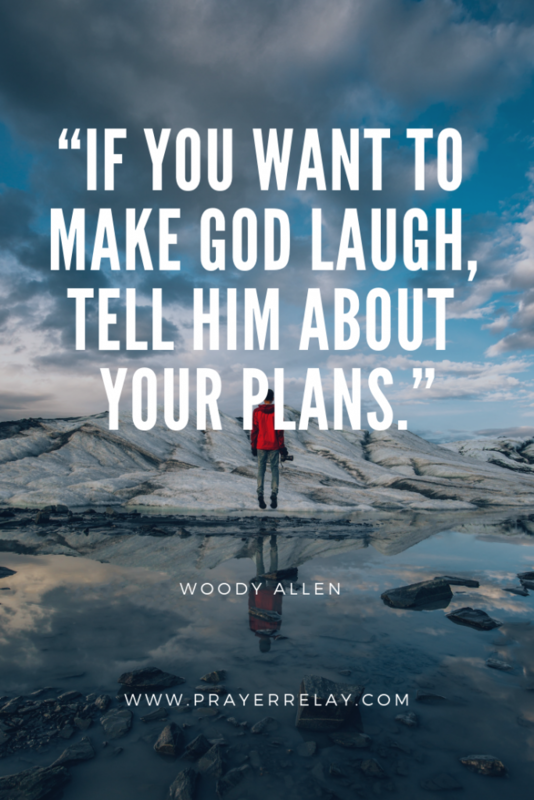 There is a statement that I have heard said, “If you want to hear God laugh, tell him your plans for tomorrow.” This also rings true with scripture. Let us explore the plans that the Lord has for you and I. We will divide this topic into sub-topics, to make it as easy to follow as possible. Whenever you find yourself struggling to articulate the meaning of your life, this is always the right place to start. Our creator was gracious to give us a manual for life, in the form of the bible. It is reasonable to say that a chunk of cases of depression are a result of people losing sight of meaningful things in their lives. People wandering aimlessly on this planet, seeking some form of meaning. Our own plans can only take us so far. Beyond that point it is out of our control. This is what accounts for some of the things that we simply cannot explain about life. There are things that no matter how much thought we put into them, we could not come up with a reason for why they are the way that they are. For this reason, even prayer ought to line up with the will of God. When we are praying outside of his will, we are asking him to be who he is not. Praying his word is praying his will. You are asking God to honour his word. We know that he watches over his word to perform it. 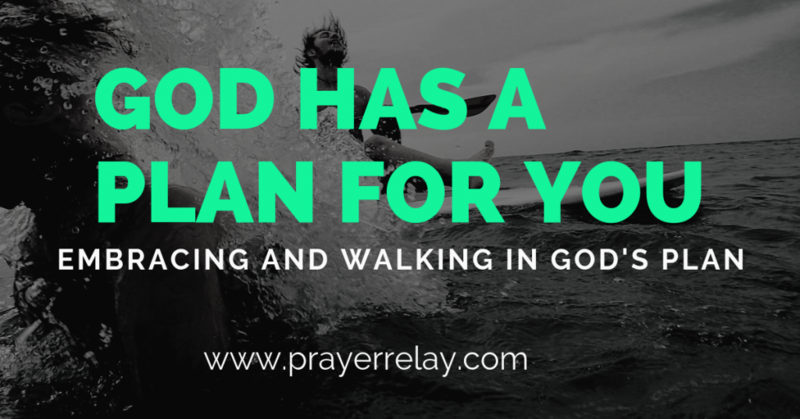 Instead of telling God our plans, we ought to be asking what his plans are for us. Even outside of your mother and father’s plans, God knew you before you would ever grace your mother’s womb. You were sanctified, and filled with purpose. This is what the late Dr Myles Munroe called seed. The seed of everything is in itself, is what he said. Meaning that everything you would ever do, or become is in you. The challenge is to birth it out. This of course will be tied down to the environment in which you choose to nurture this seed. God has a plan for you. It is encoded in your spirit. Another version says, I know the plans! God knows the plans that he has for you. These are plans for your goodness, that you would not see harm. Rather, for you to have a bright future, one filled with hope. With everything that is going on in our world today, hope is one thing that we so desperately need to keep a hold of. Hope is that fuel to keep going forward when nothing else makes sense. There is peace in knowing that God has a plan for you. If you would walk in that plan, the ending of this story will always be good! Unless you are a psychopath, you care for your loved one. Any normal parent will take care of their children. Let me rephrase that. Any good parent will take care of their children. They will give good gifts and do things in the best interest of their children. We are not talking about angels here. These are just regular humans. What more of our Heavenly Father? Just as our earthly parents have plans for us, plans for the very best things for us. Our God has a plan for you. If we, with all our wickedness and imperfections give good gifts, I don’t know about you, but I long for gifts that come from above. The most common way that we fall out of God plan is by superimposing ours on his. It is human nature to want to be in control of everything. We are taught to “handle our business” from a tender age. That desire to independent drives most of the things that we do as we grow older. 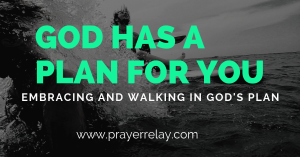 So, what can we do to walk in God’s plan? Isaiah 26:4 Trust in the Lord forever, For in Yah, the Lord, is everlasting strength. Isaiah 26:4 reminds us of God’s everlasting and infinite power. There is no end to the depth of his power. Nothing is too hard for him. No issue that you face will be too difficult for him to carry for you. Our part in all of this is in trusting him. Faith moves God. We understand that it is by faith that Abraham was set apart by the Lord. The bible tells us that it was credited to him as righteousness! Nahum 1:7The Lord is good, A stronghold in the day of trouble; And He knows those who trust in Him. A stronghold is something that does not fall easily. Strongholds for better or worse are stable structures. This ties into the scripture that tells us that our God is indeed a strong tower, one in which we are made safe when we run into. Just as his sheep know his name, he knows those who trust in him. I want to be known by the Lord in all my walk. For his eyes to lead me wherever I go. Trusting in God should be done in that God hard or go home format. When you trust him, you should do so wholehearted and wholly. Giving him every bit of your life, and not just some parts. We often compartmentalise what we share with our loved ones. Yet, it is futile to hold anything back from a God that is omnipresent as he is omniscient. Acknowledging God in all your ways entails taking his will into account for all decisions that you are to make. We know that in doing this, our paths are directed by him. We live in a materialistic world. It is normal to desire beautiful things. At the heart of everything that we are and that we could ever do should always be the mantra, to seek him first. Our lives would be transformed if we committed to never doing anything without consulting the Lord. That is to seek him first, before anyone or anything else. Seeking first the kingdom of God means that you put his will before your own desires. That is not an easy thing in the times that we live in. Yet we know that obedience is greater than sacrifice. The Lord is not after our offering, he does not desires us to make sacrifices, at the expense of being obedient. Where sacrifice takes the place of obedience sin becomes common place. Those who have more to sacrifice begin to live anyhow, knowing that they can atone through their giving. This is a dangerous place, as we see in our churches today. Unlike God who is not a respecter of persons, our leaders are prone to showing preference to those who have more and can give me. Seeking first the kingdom will mean that we would have to forfeit some of the things that we desire. Knowing that there is a time for everything. We trust in his time. We often take for granted that once God orders our footsteps, we automatically walk in these footsteps. God is faithful, so he will certainly do his part and order our footsteps. Us, on the other hand :(. The footsteps that God orders may not make sense to us. We don’t have the whole picture, so may not understand what he is doing, how or why he is doing something. A great example of this is when Jesus approached the fishermen who had laboured all night and not made a catch. He tells them where to cast. These are professionals being advised by a novice. They had toiled! These men had done everything within their strength, and the depth of their vast knowledge. Yet none of this had produced a result. They could have easily shrugged off advice from a non-professional. Yet, by only by obedience do they get their reward. Had they turned away, their nets would have come to shore empty. We know that by following what God asked of them, they had an abundant catch! I want to live in the abundance of Christ, in the same way that I desire this for you. Walking in the footsteps that God orders will often mean walking by faith and not by sight. Saying, I do not understand what or why God is doing something, but I will follow him regardless! This may mean doing something in the face of criticism from all who see you doing it. It may mean going against what seems to be wise. Yet we know that his ways are above ours. Submission comes in various forms. Submitting to God is saying, “Let your will be done.” We are promised that when we do this, our thoughts and ways are established. Whatever you start with the Lord, he is faithful to see it to the end. He is a God of completion. This should be every believer’s desire. The coming of the kingdom of God must be close to our hearts. God has a plan for you that is tied to the coming of his kingdom. His will is that this would come to pass. God’s plan is not guaranteed to be an easy one. We can see this in the case of Christ. As a man who knew what the will of God was, he would still pray “if it is possible, let this cup pass me by.” From the time that he was sent to earth, he knew this to be God’s plan. Beyond it all, there is obedience. As difficult as this cup was, Jesus was willing to accept the will of God above his own. Let that be the same mantle that we carry. When God’s plan for you comes to pass, it rocks the plans of the enemy. For this reason there will always be hurdles along the way. There is nothing that can push you off the right path like temptation. This is why we are encouraged to watch and pray, so we can stay the course. Though our spirit may be willing, the flesh has evil desires. It is through prayer that we strengthen our spirit and bring our flesh into submission. You know the statement that it is better to work smart, that it is to work hard? This is what applies here. When we do things outside of the Lord it is possible that we may for a season prosper. This prosperity will make us more reliant in our own strength. Yet we will soon learn that, without God all of this is vanity. It will pass just as quickly as it came. Our God builds eternally. That is working smart. Thank you for taking time to read this. We encourage you to meditate on what you have read, and devote time to prayer. This is an essential part of all that we do as believers. God has a plan for you indeed, and we are standing in faith that your purpose would be fulfilled in Christ. 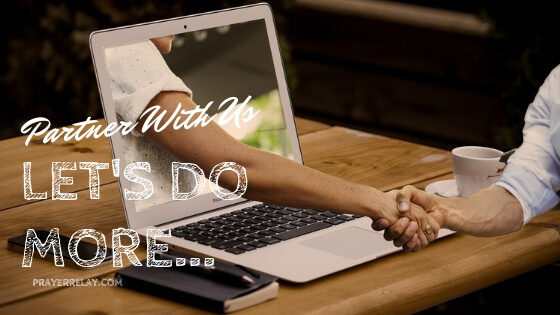 We aim to create more content and better resources for distribution. If you have been blessed, please consider becoming a PATREON.